Short Essay – Grandparents are a Gift from God | It's the Women, Not the Men! Over the last 50 years, while under the narcissistic influence of radical feminism, millions of young women have abandoned their family ties and instead spent their irretrievable youth pursuing the false feminist ideal of “independence” through cash-oriented careers. This pointless pursuit was fostered upon young, naive women by radical, second-wave feminist academia.The results have been less than rewarding and yet thousands of young women continue to be ignorant victims of feminism’s greatest ruse. Not only have women wasted their lives and talents on unappreciative corporations, they have, in many cases, denied themselves the joy and happiness of, not only extended family, but families of their own as well. Many liberated feminists marry and then divorce their inconvenient husbands; others “marry” other women; some remain single and adopt; while the remaining fools choose to bear illegitimate children. They are all functioning under feminism’s false assertion that the rules of Christianity, and the sacrament of marriage, don’t apply to them because they are “sexist.” When in fact, none of these arraignments qualify as family and all are doomed to reap nothing but stress and unhappiness. This is because they are radical, second-wave feminist aberrations created by twisted women embracing twisted ideology. They are doomed to dysfunctionality, resulting in anxiety, regret, loneliness and, if foolishly fertilized, another generation of impaired children. On the other hand, moral women who chose to follow the centuries old, and proven, path to happiness, inspired by Christian teachings, will not only reap the personal benefits of a traditional family support system, but will also produce children whom she will guide onto that same safe, secure, calm and productive, path as well. 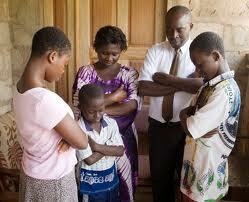 Christian fathers and mothers provide the first line of defense when it comes to their children’s lives. Both try to assure that their children are properly cared for 24 hours a day, but there are times when even devoted parents need help. Young, Christian couples who have chosen to embrace the joy of family, including aunts, uncles, nieces, nephews, cousins and grandparents are also blessed with the care, support, trust and love that those relationships provide. Young parents, whose own parents are still living, are doubly blessed, especially when they live near by. Not only are they blessed with the luxury of four additional pairs of loving hands to step in when needed, but they are blessed with the knowledge that the grandparents love their children with the same intensity as they feel themselves. There is security and peace of mind in that understanding especially when the little children are left in their grandparents hands rather than in the hands of strangers. Grandparents are truly a gift from God. As parents age and sadly watch their children leave the nest, they also happily watch their responsibilities and obligations diminished as well. The relief and pride in a job well-done eventually develops into a calmer and more cheerful temperament, which is very suitable for the care of little children. Grandparent’s time-honored gift to their grandchildren is their unconditional love, unfettered by schedules, routines or commitments. They augment the parent’s devotion, reinforcing the grandchildren’s sense of security and self-worth, but more importantly, the children are bolstered by the unconditional love of others too. Grandparents have the time, the disposition and the patience it takes, to “play all day.” They are the purveyors of the family faith, family history, story telling, tickles, book-reading, path-walking, and surprises but they are not constrained by the need to “raise” the kids, leaving lots of patience for children’s normal antics. Young parents, especially young mothers, who do not or will not (to be addressed in another post), encourage the interaction between grandparents and grand kids are doing themselves and their children a tremendous disservice. Grandparents add so much to children’s lives. They are the non-judgmental, warm heart to whom children naturally gravitate for the wise and unconditional love they can provide, especially when the children are under duress or unsure of themselves. They are the living proof, that leading a good life, provides life-long happiness. 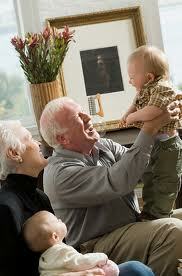 Grandparents are the quiet, stable, reassuring security blanket in a child’s strange, and sometimes, chaotic world. They are irreplaceable and invaluable. Grandparents are the icing on the cake, making what is already good, even better. Indulge yourselves. The rewards are greater than you’ve been led to believe. 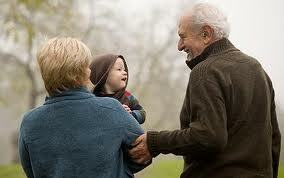 Grandparents are indeed a gift from God, when they use their position as it was intended by God. On one side, my wife’s parents(my kid’s step parents), even though they live farther away than my parents, try to be involved in my kids lives. They are so generous and kind(despite being unbelievers). My children are involved in sports and music things at school, and they try to make to at least some of the events(despite living 50 miles away), to show their support, whether it is football or band. The sad part is that my parents, who are professed believers and regularly attend church, and live only 3 miles away) only see my kids most of the time on their birthdays or holidays. They have never been to any of my kids sports games, or musical events. My mother suffered a mental breakdown some years back, and since then has decided it is too stressful to be around people(including her own grandchildren). It is a task for her just to go to church. It saddens me, because my kids ask all the time when they can go see grandma and grandpa, and I just have to say grandma is not feeling well. Occasionally, like a few weeks ago I could get my Dad to bring my mom over for a movie night at my house on a Friday, but I could tell my my mom was getting stressed and just wanted to go. My father is a good Christian man, and he was always a great provider for his home. I can always call him for advice and for that I am grateful. But this issue of involvement in his grand children’s life(even if my mom can’t handle it), has been an area of disappointment for me, and it is something I have to continually give to the Lord. Family can be difficult. Your mother is ill and that is really all you need to tell your children. Your children obviously don’t miss her nearly as much as you do. I hope that you make the effort to drive over to see her, with or without your children. She needs you now more than ever because she can’t cope with groups, family or not. Your father is the saint caught between his two beloved women. If for no other reason, you should now be the giver, even if you resent it. Your Dad needs your support. I wish you all of God’s peace. You will hate yourself for letting your Dad down when he needs you the most, especially after your mother dies, and it’s too late to show him how much you love him, by helping him through this very difficult stage in his life. God bless and good luck. Missed you too! Thought of you often in recent months. Hope all is well? I will give her your love. Please take care of yourself. You mean SO much to so many people. Love and prayers. XOXOXO!! I definitely do visit her on my own when my kids are at their moms(I am divorced). My wife and I also take my mom and dad out to dinner from time to time when she is up to it. I support and love both my mom and dad, but I still maintain that despite the challenges my mom faces, they could do more to be involved with inn their grandchildren lives. Please don’t misunderstand me, I don’t harp on them about it at all. I don’t believe in nagging people that way, and they probably have no idea that I feel as a I do, because I don’t want to bother them. I just continue inviting them to my kids various events, hoping at one point they may actually show up – or at least even my father, if my mom can’t. And my past with my parents is bit more complicated than it looks, as my mother has had mental illness for most of her life, she just had a major break down a few years ago that was worse than all the others. I’m so sorry that you’ve been struggling with your mother’s illness for so long. It definitely makes life much more difficult. Is it feasible for you and your Dad to have a heart-to-heart talk about your wish that they be more involved with your kids activities? You may be right, and he may not know how much you miss their presence. You sound as though you are sincerely trying to offset some of the earlier complications in your life, for your children. This alone, is very admirable. I think he knows my feelings when I continually invite them to things but they don’t come, but maybe you are right about me gently, and respectfully addressing it in a more direct way, if anything just let him know my feelings whether it changes or not. I was greatly influenced by these feminists and must admit that when I began following your blog, some things came close to angering me. I still cannot feel sorry for white Christian men, as they still have it made compared to most factions of American society (I will admit the abuse from radical feminists is uncalled for). I was blinded by these women, who indeed did close my mind to traditional options of living, between that and the many unfortunate assaults I endured from men left me feeling I needed to rely only on myself and never trust men in general. I never married or had children, however I can confidently say that I was proposed to on many occasions, and felt deeply that if I had any doubt at all I should not marry (this “we can always divorce” attitude is disgraceful.) I chose to not have children because I had parents that were wonderful, intelligent, creative people, but had problems of their own which created neglect and abuse. Addictive traits being one of the biggest obstacles to them being able to care for us as they’d have liked. I became addicted to substances very young and did not tackle this until I was 30. I was afraid (and rightly so) that I could do to my children what was unintentionally done to me, and as it turns out I most likely would have. All of this shows me that despite these radical messages the feminists shoved down my throat, my faith and belief in God, how sacred the Word is (i.e. I couldn’t promise marriage vows to God when I knew I was not positively certain) my Christianity is strong in my heart and soul. What a blessed gift!!!! My being raised with extended family and wonderful grandparents, Godparents, aunts, uncles, cousins, siblings, and many generations of these, taught me that life was more than what went on in my home through my parents battles with their demons. I love you too. I’m so happy that you are finally blessed with faith once again because no matter what trials and tribulations life hands you, knowing God is always by your side to help, and guide you through the darkness, is really the only life-vest you’ll ever need. 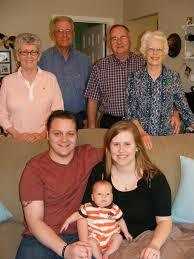 But, that said, family always( and for many, this means grandparents especially) comes in close behind. I too am so happy for this, thank you for sharing this journey with me and providing access to this forum in which to safely share. My life can be seen as tragic, yet it more powerfully demonstrates that God is always by our side than many stories and even scripture can describe. How amazingly good is God that I have survived and come to believe my experiences were not punishments but life lessons!!! I’ve barely written a blog, but chose a title “reclaimation of soul”. I still feel there is a small whole that was stolen violently, yet I now know that God never did or would allow my soul to be destroyed, it is ,and has been healthy and full all along. The Lord that I love who loves me sent me on this journey to be able to honor all His gifts. 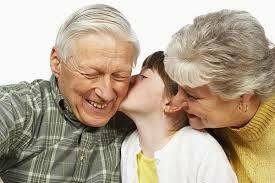 Absolutely Grandparents are angels He sends, and His limitless patience and love are an indescribable gift for me! I’m convinced you survived because your work on earth is not done. And, it may very well be that blogging about your struggles is the ministerial platform that God intended for you, all along. I’ve pondered that for many years, and been unsure if my intention would be self pity or a mission. Over the years, confiding in you, and reading what comes off the top of my head, (I’ve always felt comfortable enough with you to just let it flow, rather than check my words as I write, hence reading my unplanned words reveals my true self to me) I find I’m freely disclosing the thorough ugly facts, (which is imperative to disclose when attempting to help another open up) but my words flow seamlessly to the process, strength required, lessons available, and the peace and freedoms I’ve experienced thus far. 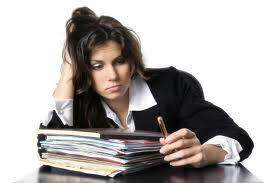 I honestly just realized I haven’t thought of writing my blog from that positive perspective!! Thank you so for that reminder! I now have the motivation, freedom, and confidence to share something of value not only for me but for many others. For every 1 person that has shared their extreme traumas, there are 10’s of 1000’s (at least) that carry this in silence, and it WILL kill. Wow (more hippie talk–lol) I can’t thank you enough right now, God is so good, His impeccable timing astounds me. I’ll be posting regularly now. I think that sounds like a plan! May God bless this new, and positive, journey in your life. I don’t see it as a “narcissistic influence” but as some sort of a “hate mantra” without adequate direction. Your article is terrific as “feminism” is a big useless lie for the dupes that fall for its schemes but the globalists will get out of it what they were looking for: a corrupted culture that will self-destruct the family. You have given this topic much thought. And there is much about which you are correct. None of this would be possible without the destruction of Christian morality in our children. This destructive process began in America in 1964 when prayer was removed from the public schools. This signaled to the very young,especially young women, that God was in some way, a threat. They proceeded to immediately “liberate” themselves from all of their centuries-old, Christian traditions. And 50 years later, we are left with dregs of a once illustrious nation. And our immoral, child-like citizenry, led primarily by millions and millions of those same “liberated” FEMALE voters, judiciary, academics, politicians, business women and female ministers, are now wallowing in the wanton remains of what had once been a stellar community of ethical MALE leaders. Sir, are you one of the 911 truthers? That link you attached is also a dead one.